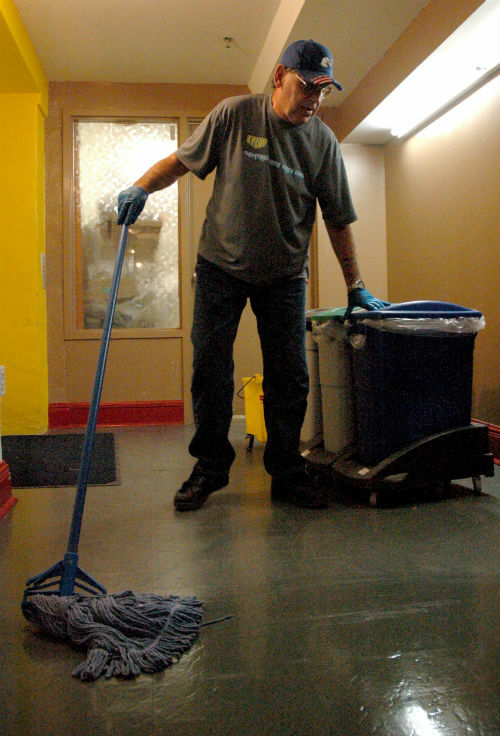 Fresh Start Cleaning and Maintenance offers a variety of services to the city of Toronto. Although primarily established as a janitorial business offering office, commercial and residential services Fresh Start has over the years branched out into providing lawn care, snow removal, de-hoarding as well as bedbug pre-spraying preparation services. Fresh Start is fully insured with Marsh Canada, Intact Insurance and the Workplace Safety and Insurance Board covering any injury, theft or damage to property that may occur as the result of direct or indirect action(s) of any employee carrying on the work or services of Fresh Start. It is with the greatest of pride that Fresh Start works diligently towards hiring as many consumer/survivors of mental health services that it can, many of whom come to Fresh Start suffering from the stigma and isolation one receives with a psychiatric illness. Fresh Start does its very best to match real work opportunities with corresponding cleaning skills to complete these work tasks and achieve fulfilling results for the employee, the customer and Fresh Start. Fresh Start realizes that with effective work practices business activity increases and hence our reputation and ability to establish ongoing contracts with non-profits, housing organizations, commercial and private businesses, as well as private residences. Fresh Start will go to great lengths to provide excellent service, establish strong working relationships, credibility and flexibility with all our customers whether it be ongoing or one-time contracts. It is through public and private agencies and individuals that resulting business and donations afford Fresh Start the ability to hire and train its staff in providing basic services to the community that serve a common good.